The simple, sleek Seven Glass Dining Table by Calligaris will complement your modern dining area beautifully. It features a 180cm tempered transparent or smoked gray glass top which makes the table both sturdy and safe. The metal frame provides stylish and modern look. 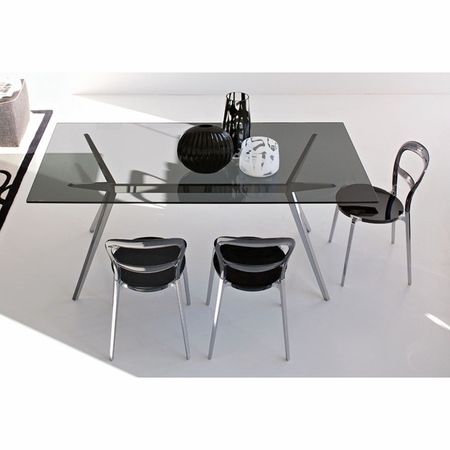 The Seven Dining Table by Calligaris can be functional in any home or office.